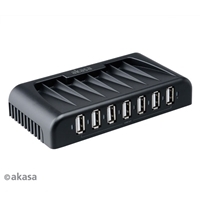 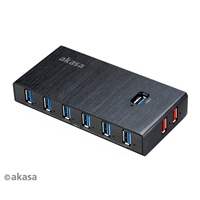 The Targus 4-Port Mobile USB Hub is convenient for those who travel with their laptops and would like to connect to their peripherals via a USB port. 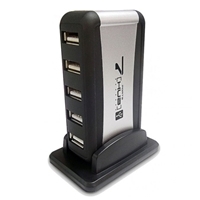 Expand one USB port to four high-speed ports to connect and charge your iPod/MP3 player, Smartphone or peripherals through the laptop. 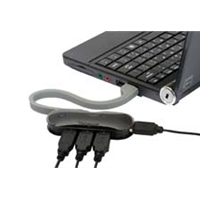 The USB cable never gets lost and stores inside of the hub for easy travel. 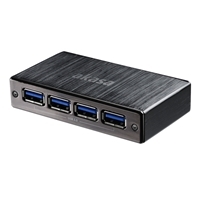 Both compact and sleek, the Targus hub is portable and easy-to-use; simply plug and play.